what is a k20 swap? and why is it so popular? a k20 swap is when they custom swap a k20 engine into a different car like an older Honda Civic. k20 engines come from the newer Civic Si and RSX type S. there's more but mostly available to japan. it is very popular because they're very powerful naturally aspirated 4cyl. engines making 200 hp and can easily make 300 with bolt ons. they are the most advanced engineered 4cyl FWD N/A engines in the world. they're so popular also because they have large numbers of torque.along with the F22C its by far the best and superior Honda engine there ever was. you can boost it stock with no mods. the k20 set up is a straight V8 killer. im planning on doing this swap when i have the money. to learn more about hondas read threads like from honda-tech. its filled with car enthusiasts. K20 swap is when someone switches their current engine & replaces it with Honda's new K20 engine. The K20 engine came in Integras & still comes in Civic Si's. Most Hondas that exist can take this engine. In terms of Civics the 1992 to 2010 versions can do this. 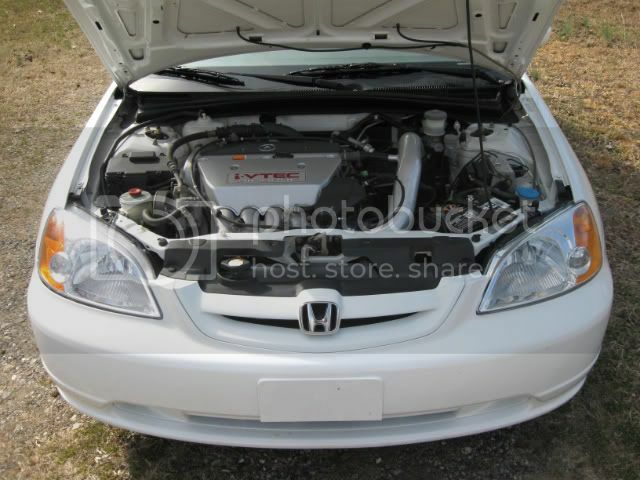 I believe its popularity is due to its near 200 HP stock rating & ability to work in a wide range of Hondas.